I’m going to warn you, I have been really into hot pink lately. Like REALLY into it. I am now counting the days until we can buy our own house (which should be happening in about a year). The main thing that blows about renting = you have to run everything by your landlord. Our landlord is amazing, but I really doubt he would let me paint his hardwood floors white or paint/wallpaper every room in this house! Anyway bottom line, I can’t wait to own again! Until then, I will just dream. Ok although this space is overall very industrial, I love the fact that they brought their own style to it! 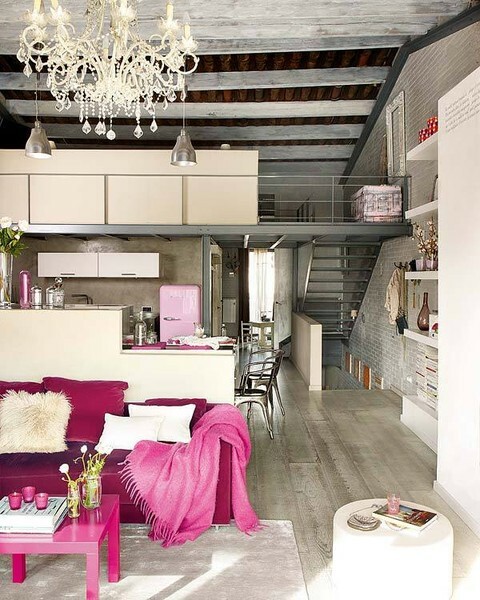 Perfect mix of rustic, glam, urban, industrial. One of my favorite things in decorating is to mix styles. It brings something unexpected & unique to the table. 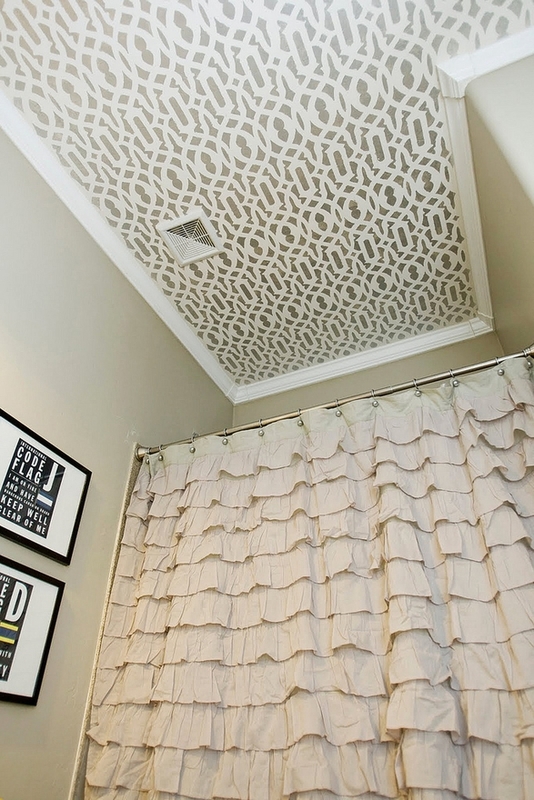 Imperial Trellis stenciled ceiling – One word. GORG. Quite possibly the cutest ceiling in the world. I would love to do something like this in the nursery or bathroom. 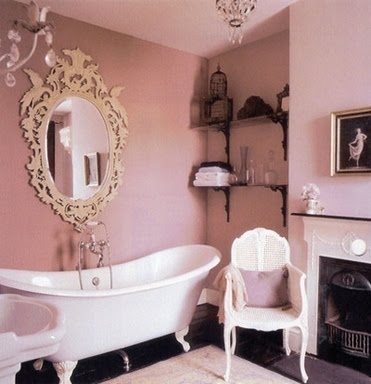 Next up is this vintage glamorous bathroom – Loving the pink walls with white accents. Don’t be afraid to go bold with your paint. With the right accessorizing, it could look amazing beyond words. Bold pink walls & neutrals. 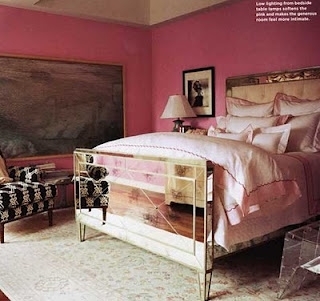 The mirrored bed – to die for. 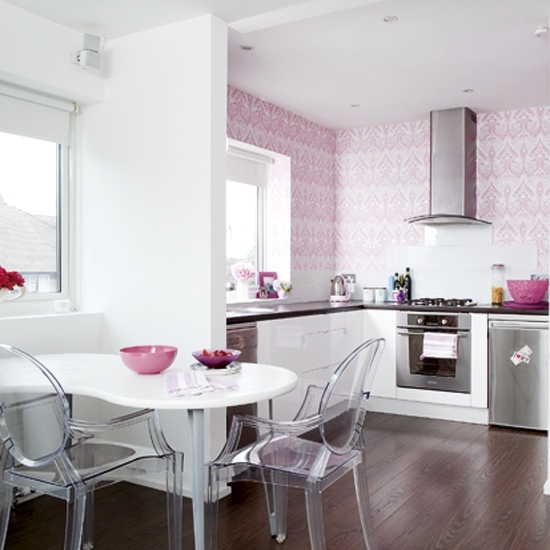 Wallpapered pink kitchen & ghost chairs. Again super unexpected, yet amazing if done right. 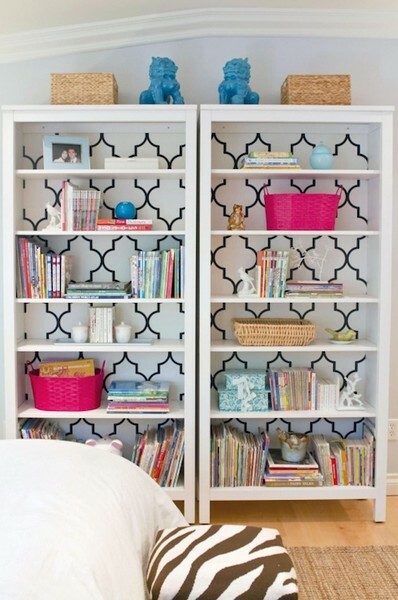 Gorgeous chic trellis stencil.. I have been dying to try this on something. I have been thinking about buying a second hand bookcase for my storage challenged home office. As soon as that happens, I’ll be all over this. 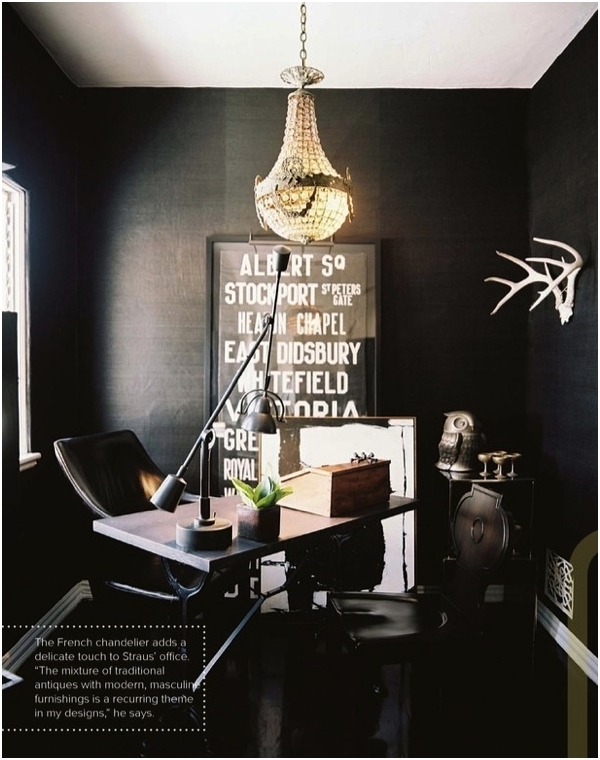 Gross cloth walls, stunning chandelier + white deer head hmmm.. you can’t really go wrong with these items! Color coordinated bookshelf = A-mazzzz. It’s like where do you get all those pink books though??! 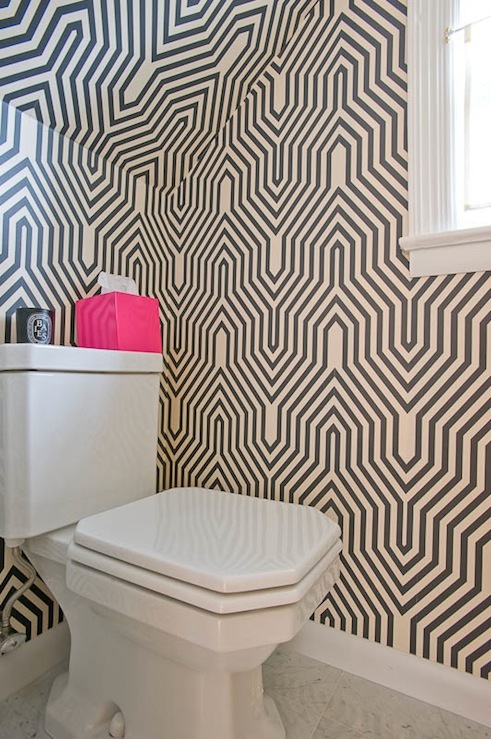 Love this funky geometric wallpaper + the hot pink tissue box doesn’t hurt either. A bright pop of color, is sometimes all you need to give a room that wow factor. What do you think? Do you have any fun & unique plans for your walls?? Feel free to follow me on Pinterest for more ideas. Welcome to House to Home! Created by The Lindstrom Re/Max Team to provide you with all the necessary resources to purchase, sell or decorate a gorgeous home. Are you in need of Real Estate services? Contact us today! Just listed and now pending!